What a sweet way to add a little fun to St. Patrick's Day...candy disguised as potatoes! (These would also be great for April Fool's Day!) I just love this kind of tricky treat. The bonus is, that they are actually very tasty, according to me and my husband anyway. I just made them this morning and haven't had any other taste-testers yet. These mini spuds measure only 1" by 1 1/2", enough for two bites, or one big bite:) My husband had a hard time eating only a couple, and I must admit that these sweet little taters are as addictive as french fries, their savory cousin. When you mix a bit of cream cheese, butter, powdered sugar and walnuts, you end up with a confection that is not only CUTE, but satisfies the sweet tooth! On this very rainy day in California, the aroma of roasting walnuts wafting from the kitchen was heavenly, which is reason enough to make these:) Roasting the walnuts adds such great flavor! I have a big stack of brown lunch bags (above) to package these, tie with a green ribbon or raffia, and attach a tag. They will make perfect little St. Paddy's Day gifts or favors. Beat 4 tablespoons each softened unsalted butter and cream cheese with 1 teaspoon pure vanilla extract and 1/4 teaspoon salt until pale and fluffy. Mix in 1 pound powdered sugar and 2 cups walnuts (toasted, cooled and finely chopped) until smooth. Refrigerate until firm, about 1 hour. Roll dough (1 tablespoon each-I didn't measure) between your hands. Shape into "potatoes." Roll in ground cinnamon, brush off excess with a pastry brush. To create "eyes," stick in walnut pieces. Refrigerate for 30 minutes. Makes 40(depending on size). This post is featured on Edible Crafts! SUE! I am dying. These are adorable to the next level! Those are super cute! What a fun idea for St. Patrick's day. Have a great weekend! And there you are! I too was just about to email you! Yep, these are cute. I saw them this week when I flipped through Martha's mag. Good job, you. I love how you displayed them. Keep up the good work! I'm working on a bridal shower cake, so if it turns out well I'll post it this weekend. Speaking of weekends, I hope you have an uber fabulous one! Those are adorable! How cute :) Have a nice weekend! They look so cute! And a very healthy snack, too! Oh my...I really though they were potatoes when I look at the picture...until I start reading the post! How wonderful and delicious. You're so creative. :) Thanks for sharing. Super fun! Ur post made me realize how much I am looking forward to March and the springtime!!! And candy for St. Paddy's day...way more awesome than the usual fare! You really made them look like potatoes! These are too fun! I may have to make a batch of these for work. How fun is that?!?! Too cool! These are so cute and absolutely delicious! Thanks for stopping by my site and leaving your sweet comment. See you again soon. Mix together the mashed potatoes, vanilla, milk. Start adding powdered sugar until it makes a dough, and cleans the side of the bowl, (like a pie crust dough). Be careful not to add to much powdered sugar as the dough will become dry & brittle. Next, spread out a little powdered sugar on the surface you will be rolling the dough out on. Take a piece of the dough, about baseball size and roll out as if you were rolling for a pie crust, about the same thickness also. Spread with peanut butter and roll up like a jelly roll. Place the "logs" into the fridge until firm. Slice into 1/4 inch slices & enjoy!!! You can also use food coloring to dye the dough into any color you like! I'm gonna try this type of potato candy you posted also! I'm sure my girls will eat'em up!! They are too cute!!! Sue! Seriously, these are incredible! I was coming over to see how you "candied potatoes" lol They look just like real potatoes! You are just too, too clever! 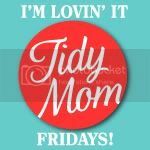 Thank you for linking up to Inspiration Friday again! Makes me happy to see "foodies" over there! You have to be one of my top 5 favorite bloggers, so invetive and cool! I have seen candy made with potatoes, but never candy that looks like potatoes. What a great idea. I can just imagine how delicious they are. I love coming over here to see what great ideas you have to share!! Those are the only candy potatoes I have seen or aten so far. I love this idea. They really do look like potatoes! Also, just saw your lemon cookies, I think thats another one to try out!! Love your blog and how you've managed to do this with 5 little munchkins, is amazing!!! Oh my goodness, these are the cutest little spuds I've ever seen and to think that they are a treat too! Wonderful gift idea for St. Paddy's Day. That is just perfect! Like you mentioned, it would be a great April Fool's day treat. I wouldn't dare to call it a "sweet potato" though, or I'd scare off the rest of my family! Oh wow these look delicious! So weird, I've literally just finished eating some chocolates that are shaped and look the double of potatoes just like this! I will be posting the review on my blog soon! Such a coincidence! They look delicious, and fun! great idea for April Fool's and St Pat's! Sue, I cannot believe I am only now finding your blog after reading a comment you wrote on Frosting for the Cause! You make AMAZING things and I am so happy to now be a follower! I think I may spend a few hours perusing your site, LOVE IT! Thanks for stopping by my site as well! I saw these somewhere last year, but had COMPLETELY forgot about them! SO cute and seriously yummy!! Definitely CUTE! Such a fun idea! They are so cute. Fun to see how everyone get "fooled" by this delicious disguise. What a cute idea! These look so yummy and they really do look like potatoes. It would be fun to surprise people with these! Suddenly I crave for sweet treats! Maybe it is the way you describe this special treat :-) Just love this sentence "roasting walnuts wafting from the kitchen was heavenly..." Hmm, I can almost smell it from here..
How cute are these! Love this idea! These are too cute! Yet another wonderful treat from your kitchen that just tickles me pink with delight to look at it. Thanks for linking this up to Sweets for a Saturday. I love this idea! I'm trying it tomorrow! I remember similar candy that was made and sold by the ladies at my church for bake sales and at their annual carnival when I was small. They were made without the cream cheese or nuts. They made a butter cream and added coconut, then rolled them in cinnamon. I think that the cream cheese would definitely make them richer. Brought back many "sweet" memories. Thanks.